Information about all of the ways to study Public Health. Learn about how you can get a bachelor’s degree and a master’s degree in only 5 years. Learn about the admissions process for our undergraduate program. Email our Undergraduate Program Office or a current student to learn more. Information about courses, students and our faculty. See what our current students are up to by following our student blog. Learn what public health is and how it touches almost all facets of modern life. 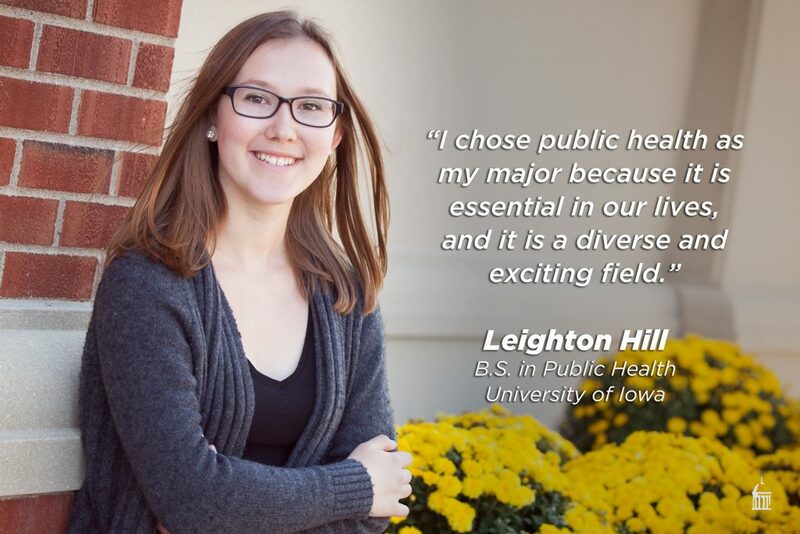 The University of Iowa is your best choice for your public health studies. Learn about what you can do with a public health degree. Learn about any scholarship opportunities we might have. Questions or comments? Contact Margaret Chorazy. This page was last reviewed on April 10, 2019.